The youth have special concerns and special responsibilities in relation to the environment. A number of environmental risks and hazards disproportionately affect young people, who have to live for an extended period with the deteriorating environment bequeathed to them by earlier generations. That being the case, young people will be compelled to engage in new forms of action and activism that will generate effective responses to ecological challenges. Young people constitute a large part of the world’s population. Many, especially young children, are particularly vulnerable to environmental risks associated with, for example, access to clean and safe drinking water. In addition, young people will have to live longer with the consequences of current environmental decisions than will their elders. Future generations will also be affected by these decisions and the extent to which they have addressed concerns such as the depletion of resources, the loss of biodiversity, and long-lived waste generation. Hence the involvement of youth in environmental management initiatives has far more reaching benefits for the future sustainability of the environment especially in our developing countries of Africa where vast natural resources are being extracted in the name of development. The participation of youth in environmental protection can be sought at levels and locations ranging from grass-roots activism and participation in conservation projects to policy-making bodies and NGOs. However, this can only be possible if the youth are given platforms to express their sustainable ideas in areas such as clean energies, climate smart agriculture and hazardous waste management. 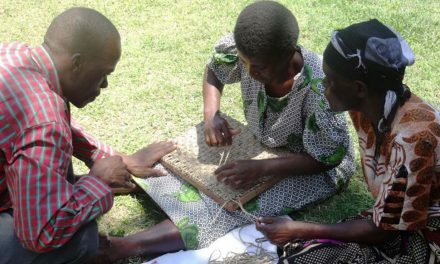 In an article by Raymond Muwaniri on green initiatives in Zimbabwe, he suggested that it’s important to stress the education of youths and their involvement in Sustainable Development initiatives, he went on to clarify that youths have imaginative minds that yield the best ideas sometimes. That being the case, strengthening the participation of youth in environmental protection is partly a matter of increasing opportunities in governmental organizations, established NGOs and restoration projects; partly a matter of youth themselves devising new forms of action, as the preceding examples of innovative activism make clear; and partly a question of more effective environmental education and media presentation of environmental issues. Effective school environmental clubs can be a means of promoting environmental literacy. Clubs provide an avenue for students to acquire skills needed to identify, investigate, and experience the resolution of environmental issues and problems. Interested students have access to environmental education beyond what is infused into the curriculum. 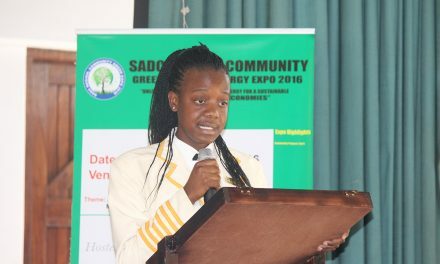 The existing structure of school environmental clubs is passive and needs to be upheld especially in primary and high schools through active participations and community involvement projects. Although in tertiary schools, environmental awareness is appreciated, it still needs more support. The goal of environmental education is to help students become environmentally knowledgeable, skilled, dedicated citizens who are willing to work, individually and collectively, toward achieving and maintaining a dynamic equilibrium between the quality of life and the quality of the environment.